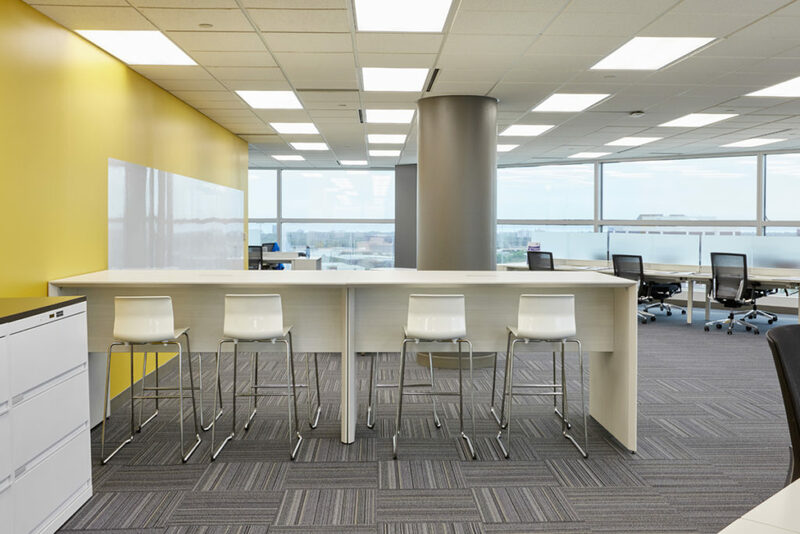 Whether you work on the warehouse floor, up in the offices, or even in an office building without a warehouse, chances are you’ve encountered the idea of hot-desking already. As more and more offices move to an open floor plan and rely more on mobile productivity tools like laptops and tablets to get things done, many industries are moving away from assigned seating and permanently located desks to allow for “hot-desking”, or workers moving around the office to different areas to get their various tasks done. This is a great call for mobility in the office depending on your industry, but what are you supposed to do for storage? Even with the move away from specific seating there’s still going to be personal effects, winter boots, product samples, and laptop/phone/tablet chargers that need to be stored somewhere. Industrial lockers are one of the easiest ways to provide extra storage in a hot-desking office. Even for office positions that don’t need to store work accessories like hard hats and gloves, providing a locker near the front door can help your staff keep their stuff organized and secure for easy retrieval when they need it, as well as giving everyone’s coats somewhere to go (which is a problem even in offices without hot-desking). They don’t need to be anything fancy, just set up some club lockers or metal lockers by the entryway or break room and your staff will have a much easier time keeping their stuff together. Similarly, the lack of assigned seating means your staff doesn’t have a place to keep their most commonly-used tools like laptops and tablets, nor will they have a place for things like notebooks and extra batteries for wireless mice. Work cabinets in strategic areas (such as a back room for bigger storage, and right outside a meeting room/common area for easy access to things that may come up during the meeting) can store equipment like extra keyboards, dry-erase board markers, and even pens & pencils in an easily accessible way. Even if nobody has an assigned desk to work at, the desks and work spaces themselves should still offer convenient access to whatever you need to get stuff done. Figure out what your most popular desks/working areas are and set each of them up with a few desktop organizers to hold onto things like pens, pencils, notebooks, and even let your phones and tablets charge back up. A good thing to focus on in a hot-desk office is mobility. If your workers are going to be moving around through the office during the day, the chances are good they’ll need to move equipment with them. If your office needs to retain any kind of physical documents or paperwork (and many of them do, even these days) then mobile file cabinets are a good idea for keeping those documents safe, organized, and easy to get to no matter where you are or what you’re working on. Similarly, you may encounter the need to move around bigger equipment for presentations, meetings, or simply to get a computer to a new workstation where there wasn’t one before. Wire utility carts are a durable and easy solution for this issue as they can safely transport heavier computer equipment throughout the office, and in many cases have built-in security doors to keep them safe in areas where locking them into a storage room may not be a viable option.